DOHA, QATAR: Carnegie Mellon University in Qatar (CMU-Q) and Gulf Bridge International (GBI), one of the region’s leading cloud, connectivity and content enablers, have signed a memorandum of understanding (MoU) aimed at promoting scientific research and the exchange of professional expertise. The agreement outlines how CMU-Q and GBI will bolster cooperation in scientific research. The organizations will promote joint research activities and strategic studies in the fields of computer science, business administration and information systems in an effort to build national capacity and contribute to Qatar’s long-term development and growth. GBI will offer internships for CMU-Q students, who will be invited to engage in the company’s community service activities in Qatar. 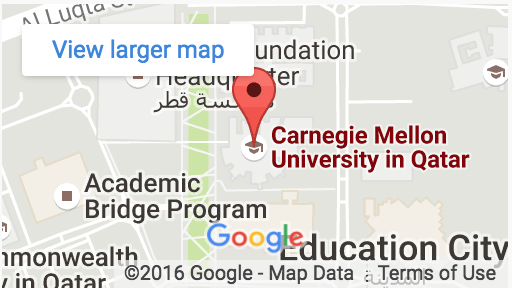 Carnegie Mellon University in Qatar delivers select programs that contribute to the long-term development of Qatar. Approximately 400 students from 38 countries study at CMU-Q in the areas of biological sciences, business administration, computational biology, computer science, and information systems.